For a long time Leeds United fans have felt that a film could be written about the endlessly unpredictable exploits of the club. Not only would the plot have more twists, tangents and mind-bending sub-threads than even David Lynch could comprehend, but it would also have an arresting cinematic quality that seduces the viewer throughout. I’m sure most fans think this about their own club’s visual attraction, but somehow Leeds United has always had the ability to capture an era in the click of a camera shutter; perfectly encapsulating a time, a place, an attitude and a folkloric tale in one single image. Upon a Leeds United snapshot many a myth and legend has evolved. The audacious brashness of Billy Bremner, blushing with youth, pleading his innocence as the fearsome Dave McKay of Tottenham Hotspur grabbed his shirt by the neck. It personified the impudent disrespect with which Revie’s Leeds operated, but also perfectly illustrated how brutish and uncompromising midfield generals ruled the rutted plains of the First Division like Great Train Robbers protecting their manor. It’s an image that resonates today, as is the muscular and gladiatorial John Charles standing in the West Stand car park on his return to Leeds United, his stocking foot raised on a leather football stitched together and weighing more than a round of fish and chips for the entire first team after training. There are enough of these iconic images to put a very good coffee table book together, indeed at least two have already been done. But with a club like Leeds United, where do you stop? There is no natural end to the story, and new narratives, characters and wonderfully arbitrary curveballs accessorise life at Elland Road that rapidly render any snapshot in time obsolete. One such example was the recent Boxing Day pantomime episode involving Eunan O’Kane and Burton Albion goalkeeper Stephen Bywater. A rattled Bywater pulled down O’Kane’s shorts as he lined up for a free-kick, presumably a cack-handed attempt at protest aimed at Leeds’ avant-garde approach to distracting him, which worked a treat as Pablo Hernandez expertly curled the ball home. O’Kane stood motionless for the best part of a minute with his shorts around his knees, like a Brian Rix farce, and as the camera clicked another story unfolded. It was a scene that reminded me of a silently fuming Oliver Hardy, who would sit unmoved as a plate of spaghetti upturned by Stan Laurel slowly dripped down his head. A blameless O’Kane stood arms outstretched, possibly egged on by a confidence derived from the reassuring coverage his undergarments afforded him. His posture held a surety and conviction that had ‘first legal humanist wedding in Northern Ireland’ written all over it. Even Liam Cooper frames the scene perfectly, pointing at O’Kane while eyeing up the ref, as if his de-bagged team-mate was somehow inconspicuous. 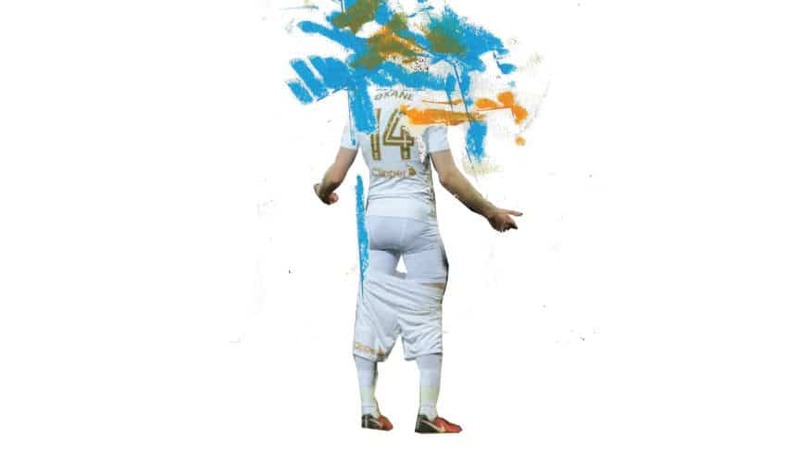 It was a wonderful moment of satire and irony, and if Leeds United achieve anything this season it could find its way quite comfortably into a lavishly packaged, glossy document of the dizzying times Leeds have spent defying logic and convention. While a picture does paint a thousand words, a shovelful of context can also add a shimmer and shine to help us lock it in our memory banks. The image of Gary Speed and David Batty in a mid-air embrace after Speed’s equaliser against Tottenham in 1991/92 is one of my favourites of all time; it frames my youth, my passion and everybody’s favourite players in such a loving and cherished manner. But would it mean so much if Leeds were rubbish at the time and still scrapping around in Division Two? Would it be one of the most shared #LUFC photos on social media if Speed had run into the arms of a mid-gallop John McClelland seconds after scoring? Probably not. Undoubtedly, circumstances help build the legend. Had it been Mark Aizlewood tripping a five-year-old mascot in some playful pre-match rough and tumble in 1988/89 and not Vinnie Jones a year later, the 28,000 watching on wouldn’t have been united in mirth and merriment, but would have been lining up to appear as witnesses for the prosecution. Similarly, there are some fantastic Leeds United images that have failed to cross the threshold into mythology, simply because the times were grim and nothing special happened that season to add the unspoken narrative. We all remember the photo of Peter Haddock wrestling with an escapee badger at Shrewsbury Town in 1987/88 don’t we? No? Just me then. 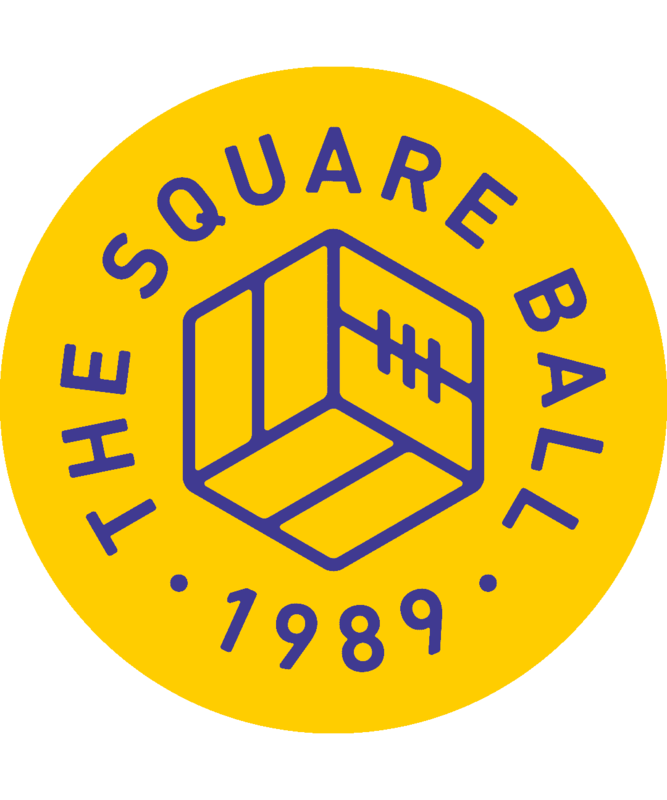 Or when famous Leeds fan tennis player Stefan Edberg came over for Wimbledon at the end of the 1986/87 season and was photographed in the centre circle with Bill Fotherby, each dressed head to toe in Sergio Tacchini? Leeds lost the play-off Final to Charlton and Edberg only made the semis, so sadly the world never saw Bungling Bill in a towelling headband. Okay, some Leeds United images that DEFINITELY did happen were the riot of golden nuggets produced by the 2012 visit of Neil Warnock’s Leeds United to Flamingo Land, which opened up like an Aladdin’s Cave of photo opportunities. Never has one unfortunate contractual obligation spawned such a wealth of era-defining pathos. Had this been a period of treble-chasing glory, doubtless the images of Michael Brown trying to feed a lemur, Luciano Becchio kissing a sea lion and Warnock himself being fundamentally confused by a motorbike simulation game would already be ingrained in the visual fabric of our football club. As it is, this was just one instalment in a seemingly endless pursuit of peak shithousery, and as a result these images simply make you shudder and sigh, like the contents of a sordid backstreet souvenir shop in Blackpool. Such is Leeds United’s effortless ability to seize a random moment and sprinkle it with some celluloid glamour, that the archive collections of Varley, Mirrorpix, Gosnay and Getty are festooned with epoch-defining classics from which the challenging, unsettling and indefinable Leeds United fable is created. Jack Charlton smoking a cigarette on Fullerton Park in a full white kit depicted Leeds as the Steve McQueen bad role model that everybody secretly wanted to be. It added to the mystique that Leeds were roguish, impertinent and anarchistic, when in reality an uninterested Big Jack was just taking a break during a pre-season photocall. A pantomime horse galloping across the pitch in 1973 was slapstick, newsworthy and somehow enchanting. Duncan McKenzie jumping over a Mini in front of on-looking teammates, an open-mouthed West Stand and a gallery of paparazzi, is a little harder to explain, except to prove the point that Leeds United were box office at the time and their pioneering ability to push the boundaries and attract attention to whatever they did knew no bounds, and was also the birth of football marketing before anybody knew what that was. Let’s ‘be’ what people are talking about. I’ll end with the curious and frankly obtuse team photo of the 1975 Leeds squad, all stood languid and hands-on-hips facing each other in an equidistant gathering on the Elland Road pitch. For some in the mid-seventies you imagine this was one step too far. Revie’s team were not shy of stepping in front of the camera, forever lining up on Fullerton Park, in the dressing room baths, in front of the Kop, the Lowfields and the West Stand, even standing in the shape of a number 7 in the West Stand car park for no apparent reason. Here they adopted an almost sinister pose which added to their unlovable air of mystery, that to opposing fans probably suggested a sense of Clockwork Orange-style imminent violence, and such psychology quite possibly transcended into opposing dressing rooms too. It was progressive art, it was defiant and unconventional, it asked an uncomfortable question like Bowie wearing make-up, and it went full circle in terms of Leeds fans looking at it and saying ‘I don’t understand it but I like it’. Warnock’s Leeds United attempting to mimic such a gravity-shifting genre swipe nearly forty years later, however, had fans bent double at the sight of Paddy Kenny and Jason Pearce pluckily replicating the nonchalant poise and the simmering menace of Allan Clarke and Joe Jordan. The yin and yang of Leeds United, I suppose; separate but, somehow, ludicrously connected. For every visual contribution Leeds have made to the rich tapestry of the game’s cultural history, there is an image of a pasty Kevin Hird nutmegging himself at a snowbound Oakwell, and for every National Football Museum nod to the impossible attraction of Leeds United there is a GIF of Jason Pearce and Rudy Austin colliding into each other during a 6-0 defeat at Sheffield Wednesday.